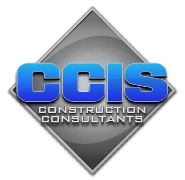 CCIS performs a wide variety of construction-related services using our 300+ years of combined experience to identify and assist in solving issues. CCIS, Inc. performs inspections and field testing relative to evaluating the performance of a variety of building envelope systems. As building professionals, CCIS applies a comprehensive methodology for evaluating water leakage through walls, roofs, and subsurface waterproofing. We are capable of successfully evaluating the performance expectations of the various components of each system and the interaction between these components and adjacent construction. A tremendous amount of field expertise provides CCIS professionals with a clear understanding of how systems should be installed and/or why defective conditions exist when evaluating buildings that exhibit water leakage. CCIS follows testing protocols established by American Society for Testing and Materials (ASTM) and FBC-HVHZ Test protocols. ​CCIS, Inc. performs field-testing procedures relative to evaluating the performance of installed windows, doors, storefronts, curtain walls, sloped glazing systems, and skylights to determine the cause of water intrusions. Field testing for water penetration will determine the quality of work of subcontractors and manufacturers, ensuring their accountability that proper manufacturer and installation procedures were followed during the construction process. CCIS follows window testing protocols established by the American Architectural Manufacturers Association (AAMA) and the American Society for Testing and Materials (ASTM). CCIS understands the differences and complexities of each testing standard and how the testing standards should be applied. Our extensive knowledge and forensic experience helps us successfully determine the path of water and provide accurate assessments of risk and repair protocols.